The letterbox Rain with an elegantly rounded newspaper holder from rust-free stainless steel is an embellishment for every front door. 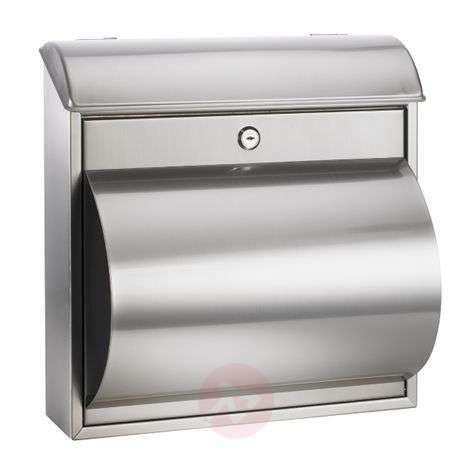 A practical letterbox, which comes with a cylinder lock, two keys and suitable installation material. The stainless steel material used is known for being weather-resistant, long lasting and easy to take care of. If the newspaper holder is not big enough, a corresponding newspaper roll is available as an accessory.